American vocalist Lori Williams has a strong connection to jazz. Here website is Lorijazz.com indicating that jazz is her profession and passion. However, limiting her vocal abilities to one genre would not do justice to her distinctive personality. Lori Williams made her vocal solo debut with the self produced album Healing Within (2010), with which she received considerable merits as a jazz singer. This impression was intensified with her second album Eclipse Of The Soul (2012). She does not leave this musical homeland with her third album Behind The Smiles (2016), which, like its predecessors, was released on the Pacific Coast Jazz label. Nevertheless, in some songs she enjoys to seamlessly lend R&B colors to her voice across genres. 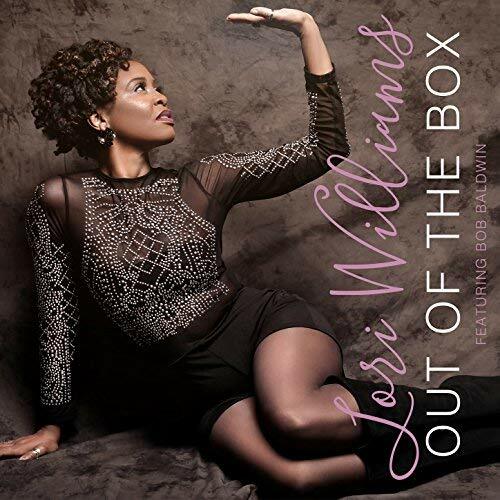 Her new album Out Of The Box (2018) appears like a reorientation of the established jazz singer. “When you reach the milestone of 50, many things begin to cross your mind,” Lori declares. “Out of the Box is a deliberate breakaway from me being stereotyped as ‘Lori only does this’ – this being straight ahead jazz. For me to be recognized and respected within that music has been quite an accomplishment but there is more to me. Out of the Box is a Neo-Soul Jazz project”. Philippe Saisse Trio - On The Level!